When a country has as many as 17000 islands and 300 languages, it is bound to feel confusing and mysterious, yet full of adventure. Indonesia is one of the best places to venture off the beaten path, explore vast landmasses that have been literally untouched by mankind, become a part of scuba diving, hiking and jungle trekking tours and enjoy attractions such as gorgeous beaches, coral cays and unique species of wildlife. Indonesia is famous as one of the most tectonically active nations on the planet. In other words, it is full of all kinds of volcanoes, nature’s weapons of destruction that also offer spectacular travel experiences. But it’s not all about volcanoes. Indonesia is also home to some of the most scintillating beaches and dramatic locales. Indonesia is a big country made up of several large islands. A drive across Sumatra, the country’s largest island, will take you around 50 hours. Investigate domestic flights instead, and plan ahead to make sure you see all the sites at the top of your bucket list. Left handers be wary: using your left hand is reserved for using the bathroom in Indonesia. It is considered rude to eat, shake hands, or pass items with your left hand. Don’t make the mistake of sticking to Bali. While Bali has much to offer, visiting other islands will surely give you the full Indonesia experience. 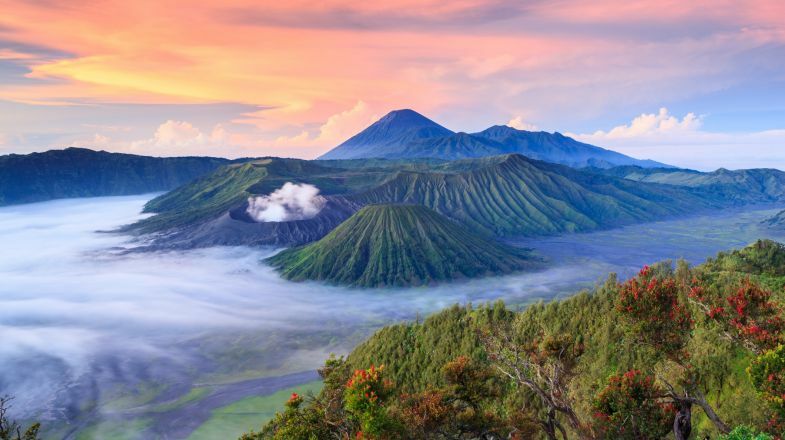 Climb volcanos on Lombok, visit the capital city of Jakarta and relax on the beaches of the Gili Islands. A sarong will be your best friend when temple hopping, no matter whether you’re a man or a woman. Both sexes are expected to cover up when entering temples and other holy sites. Looking for a cheap snack between meals? Try krupuk! Sold on nearly every street corner, this tasty snack is made of deep-fried rice sugar. Indonesia has seasonal weather so please do check up on the best time to visit Indonesia before planning your tour. If you’re still hunting for more things to do in Indonesia and places to explore in Indonesia , do check out our Indonesia Travel Guide for more information.